Celestron are probably best know for their telescopes, which they fist began producing in 1960, Since then they grown to become one of the world's leading makers of telescopes and giant binoculars used mostly for astronomy and now enjoy brand-name recognition among serious amateur astronomers for superior optics, outstanding design, innovative technology at a very competitive price. Celestron, known for their value for money can get the young astronomer started for under $150 with a dual-purpose telescope geared for terrestrial and celestial viewing, that produces bright and clear images. In the past Celestron mainly focused on entry level binoculars, but recently they have started producing much higher quality binoculars and now I would say that their brand would stand for quality at an affordable price. 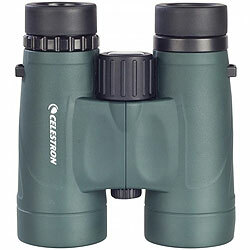 Celestron have been able to bring their knowledge of telescope optics to the field of binoculars, where they have combined superior optics, modern design and technology to produce affordable binoculars and spotting scopes not only for astronomy but for most terrestrial uses as well. Their newest series of Granite Binoculars have seriously impressed me (Read my full reviews of the 8x42 and the 9x33 Granites that both scored an outstanding 82%) - thanks to the use of high end ED glass and quality coatings on their prisms and lenses produce an excellent quality image, that has been wrapped up in a modern open hinge design magnesium body that not only looks good, but is light and very comfortable to hold. 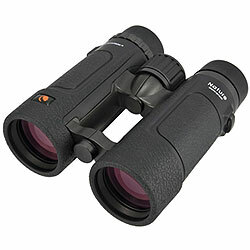 This is their top of the range series that currently includes an 8x42 and a 10x42 - These high quality, but still affordable binoculars feature a lightweight yet tough water and fog proof open hinge design body, excellent quality optics that includes the use of ED glass and phase correction coatings on the Bak-4 roof prisms. This mid-priced series shares most of the top end components and optical coatings as that of Celestron's flagship Granite series, but come with a much lower price tag and is thus aimed at the more price conscious, yet still discerning user. 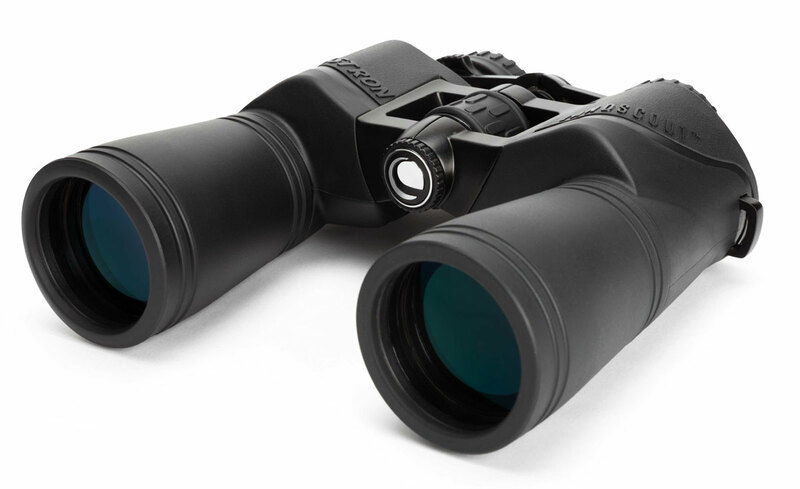 One of the newest series from Celestron, the low cost Nature DX roof prism binoculars are available in 6 configurations aimed at new to intermediate users, but still pack in a pretty impressive set of features. Highlights include a state-of-the-art design with a modern open frame style. Fully multi-coated optics and high precision BAK-4 prisms. A tough aluminum main body has a rubber covering for additional protection for the optics. Twist up eyecups provide easy adjustment for your eyes. The Nature series is waterproof & fogproof with nitrogen filled gas for added protection when out in damp environments. Celestron's Skymaster line of astronomy binoculars offers exceptional performance in the field of binoculars for astronomy not only providing a spectacular view of the universe, but can also be used for many land uses. This range of high specification porro prism binoculars are made in the USA using the best quality Japanese optics ensuring the highest quality view. Designed for long range glassing and astronomy they are currently available in three configurations. The Cavalry range currently consists of four especially rugged porro prism bins that are specifically designed for uses within the military, security, marine, hunting and search and rescue fields. All come with high quality optics and some have features like an onboard compass, GPS and rangefinder. Celestron's mid-size Outland X Series was designed to meet the needs of every outdoor enthusiast, from birders and hunters to sports fans to travelers. The optics are multi-coated to obtain high resolution and high contrast views. The prism are made of BaK-4 glass to give you enhanced color fidelity. 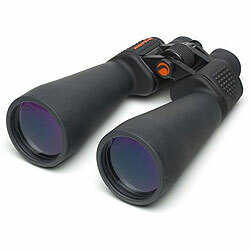 The Waterproof Celestron Outland LX Series Binoculars takes the popular Outland series to an even higher level. Features include fully multi-coated optics and a four-element objective lens for an ultra sharp focus across the whole field of view. All Outland LX models are waterproof as well as fog proof. The Celestron Outland Waterproof Series offer excellent value in roof prism binoculars. All models are waterproof for use in all weather conditions and with a rugged rubber covering and modern styling for a secure and comfortable grip. High performance optics feature BAK-4 prisms and multi-coatings to ensure high contrast and resolution. 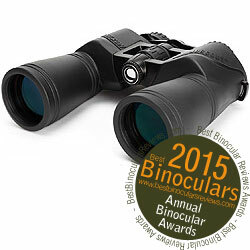 These binoculars are perfect for hunters but well suited to any sport or nature activity. The Oceana 7x50 with compass and rangefinder, which is resistant to weather and fogging, precise and sturdy, and able to provide quick, permanent focuses. Vertical etched reticles help determine relative size of objects, while the rangefinder calculates distance. Designed to be small enough to tuck away in a pocket, purse, backpack, or vehicle storage compartment, the UpClose Roof Prism Series from Celestron is perfect for catching that great view at a moments notice. 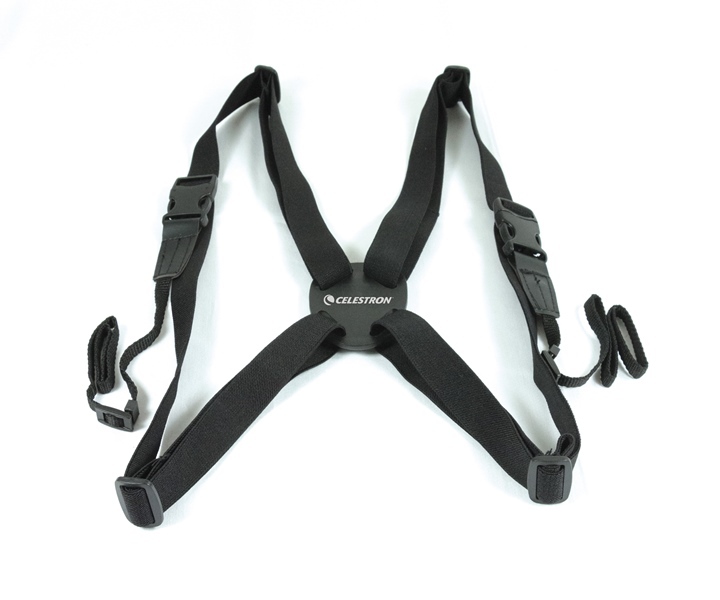 Celestron Binocular Harness Strap - The perfect accessory for your binoculars should you want to free up your hands and take the weight off your neck and shoulders. 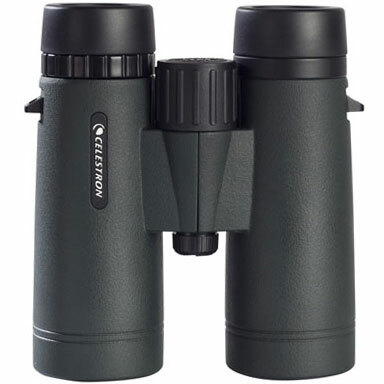 The top of the range Celestron Granite roof prism binoculars come in 8x42, 10x42, 10x50, 12x50, 9x33 and 7x33 configurations and feature extra low-dispersion (ED) glass which reduces color dispersion and helps prevent prevents chromatic aberration and therefore is able to produce a superior image with minimal (or none) color fringing, improved sharpness and clarity with exceptional light transmission and remarkable color resolution and contrast. The open frame design looks great, provides you with excellent grip even with one hand and is comfortable to handle whilst also helps to reduce weight. On top of this the body is made of magnesium which is much lighter and stronger than the more commonly used aluminum. All models have been Nitrogen-purged (meaning their internal air has been replaced with dry nitrogen gas) and sealed, which makes the Granite both waterproof and fogproof. Top quality optics and coatings have been used throughout and this includes: Fully Multi-Coated Optics and BaK-4 Prisms that have phase correction and the very best dielectric high reflectivity coatings on them. What's also cool is that you a Binocular Harness comes free with these. Something that I have hardly ever seen any other brand offer before and think is really a great idea. 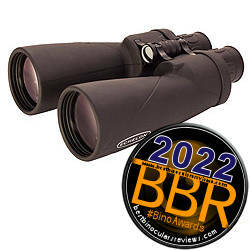 Most models have a wide field of view in relation to their power and the 8x42 Granite boasts one that is 426ft wide at 1,000 yards which combined with a stunning view and all the other quality features and components helped them scoop the Best Birding Binocular for 2012 award. Whilst the Trailseeker series sits under the headlining Granite's and cost substantially less, they share many of the same high quality materials and optical coatings. A visually obvious difference however is that they have a more traditional looking single hinge body shape, but Celestron have still used high spec magnesium alloy for it's frame material, which is not often seen on bins at this lower price. One of the real highlights is that the Celestron 8x42 Trailseeker also has the same incredibly wide field of view (426ft @ 1000) as that of the Granite. As you would expect they are fog and waterproof, but once again unlike many of their direct competitors, these have metal (rather than plastic) twist-up eyecups, which is another good indicator of quality. Celestron have Fully Multi-Coated their optics and their roof prisms are made from BaK-4 glass, once again this is good, but what you should expect to find. However what is very surprising at this level is the prisms have been both phase corrected and dielectric coated, which is superb. Once more and as with the Granite's, Celestron also include the same good quality binocular harness along with a soft carry case, neck strap and full lifetime guarantee. 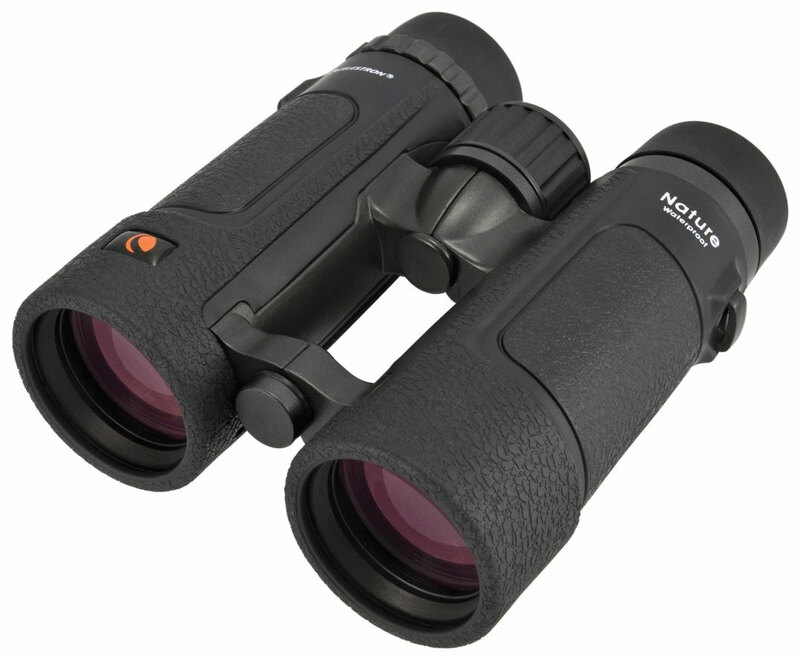 One of the newest ranges to the Celestron line-up, the Nature DX binoculars sit just above their older standard Nature series (see below) but are still primarily aimed at the novice to intermediate user and priced to appeal to those on a fairly tight budget. What is impressive however is that they still manage to pack in a good amount of higher quality features and optical components that should provide a more than decent view and which should match or better most in this price range. All six models in the series are of a roof prism design, using very good quality BaK-4 glass. The optics are fully multi-coated and protected in a fully sealed and waterproof Polycarbonate body that is filled with nitrogen gas to prevent fogging of the lenses. Aimed at the more price conscious observer, the Celestron Nature Series binoculars don't come with all of the high end features of the Granite's (see above) which is expected, but they do still feature some high quality components and coatings still result in a pretty good pair of optics and all at a great price (Take a look at my full Celestron 8x42 Nature Binoculars Review). The Celestron Nature Series Binoculars is pretty diverse with three Porro Prism Designs and two Roof Prisms and like Celestron's top of the range Granites, all the Nature Series binoculars apart from the 8x30 Porro Prism model have an open frame design that looks great, is comfortable to hold and gives you an excellent grip even with one hand. Aluminium is used for the body which is lightweight and tough yet not as expensive as magnesium ones used in the Granite's. All Nature Series binoculars have been Nitrogen-purged (meaning their internal air has been replaced with dry nitrogen gas) and sealed, which makes them both waterproof and fogproof. Twist up eyecups provide easy adjustment for your eyes and god quality optics and coatings have been used throughout and this includes: Fully Multi-Coated Optics and BaK-4 Prisms. Celestron Nature or Kowa YF 8x30 Porro Prism Binoculars for Birding? The Celestron SkyMaster Series of large aperture binoculars combine high performance with incredible value for money and make ideal astronomical binoculars as well as for terrestrial (land) use, especially when long distance observation is needed. Every SkyMaster binocular features high quality BAK-4 prisms and multi-coated optics for enhanced contrast. Celestron has also designed and engineered the larger SkyMaster models to meet the special demands of extended astronomical or terrestrial viewing sessions with maximum stability and secure optical alignment, the 80mm and 100mm SkyMaster models feature enhanced structural reinforcement to the main binocular body. The Celestron 80 and 100mm SkyMaster binoculars also come with an integral super rigid photo tripod adapter to enable easy attachment to tripods and other fixing devices. 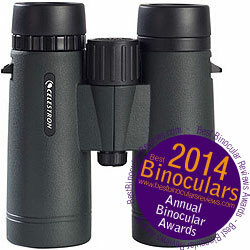 Celestron Echelon binoculars are hand made in the USA, using the quality optics from Japan. 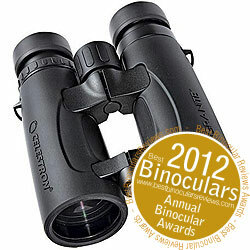 This ensures a very high build quality and optical performance that combines to produce a superb all round binocular. And no I have not just copied the marketing hype, it is the conclusion I came to when I tested and reviewed the 20x70 Echelon. Currently there are three models (se below) all of which use porro prisms made from BAK-4 glass and the optics are fully multi coated using Celestron's own XLT coating. Unlike cheaper bins, with polycarbonate bodies, the chassis on every Echelon is made from Aluminium. They are fully waterproof and fogproof as well as being tripod adaptable. There are currently four models within the Cavalry range. All use BAK-4 porro prisms and come with fully multi-coated optics and are designed to be especially rugged to withstand the extreme elements. Aimed at users like the military, police, security forces, boaters and hunters, these will perform well when the going gets tough. One of the most interesting models within this range is the Celestron Cavalry 7x50 Binocular that despite it's low cost still comes with a with Digital GPS, Compass and bubble meter as well as a Rangefinding Reticle and is for my money one of the best value for money marine binoculars currently on the market and is also ideal for many security and search and rescue applications. Whilst the LandScout series currently contains only four models all of which are of a porro prism design, but with the range of magnifications and objective lens sizes Celestron have ensured that most users needs will be catered for. Whilst all models are what I would describe as low costing, they do seem to have the most important bases covered and an aspect that I do like is that they all come with Twist-up eyecups, which at this price level is most not usually the case on a porro prism bin. The Cometron series consists of a couple of very low costing astronomy binoculars. Obviously at such a low price point (see where to buy below), you cannot expect to find the same level of components and coatings as that of Celestron's higher end astronomy binoculars like the Echelon and Skymaster's. However as they use porro prisms, these don't require the expensive reflective coatings as roof prism binoculars and as such the quality is better than would you would typically find at this level and make a good low cost instrument for the young astronomer, those new to the hobby or in the case of the 7x50 Cometron, someone looking for a backup to use alongside their giant high powered astro binoculars or telescope. These binocular suspenders from Celestron are both simple and uncomplicated, yet they do what they are designed to do and they do it very well. The Celestron Binocular Harness strap is an inexpensive option for those wanting to both free up their hands and take the weight off their shoulders when not actually glassing. More Information: Read my in-depth and hands-on review of the Celestron Binocular Harness Strap which includes photos, fitting instructions, my experience after using them and where to buy. 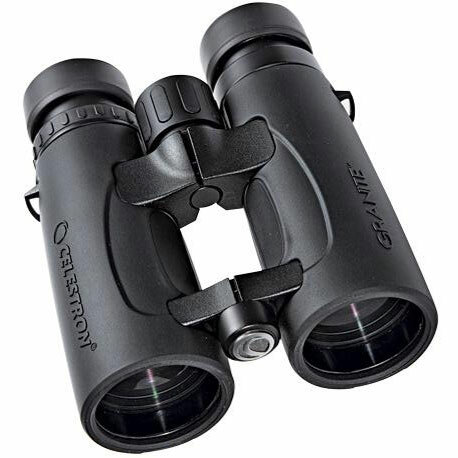 Best Celestron Binoculars for Travel & Safaris - Advice to a reader who is planning a safari adventure, but can't decide between the Celestron Granite & Trailseeker models. Whist the Celestron PowerSeeker telescopes open up the universe with high performance, enhanced brightness, and clarity from lenses that can triple viewing power. One of their top innovations is the Celestron SkyScout, a handheld device that uses GPS technology with the convenience of point and click to identify thousands of stars, planets, constellations and more. All you have to do is Simply point the SkyScout at any star in the sky and click the "target" button. The SkyScout will tell you what object you are looking at. Celestron are a privately held company with corporate offices and manufacturing facilities in Torrance, California and have received numerous industry as well as consumer media accolades, due to their innovative products. These awards include product innovation from Popular Science, PC Magazine, Popular Mechanics, the Consumer Electronics Association and the Reader's Digest. 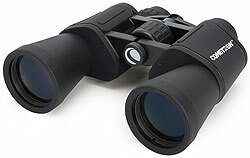 They are also designers, manufacturers and importers of other high-quality optical products, including binoculars, spotting scopes, and microscopes in addition to their computerized and non-computerized telescopes and related accessories. 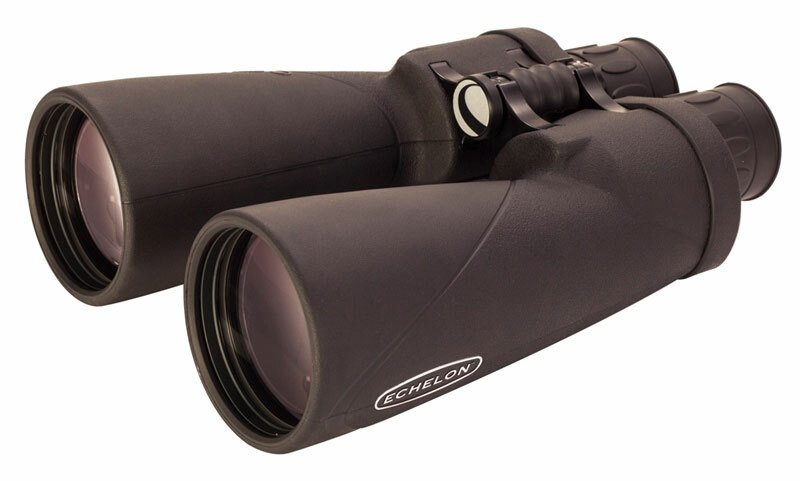 A Celestron spotting scope optimizes observation with magnification of 20x-60x, ergonomic features, variable zoom, and tripod options. Depending on the product, Celestron offer either a 2 year or a very comprehensive No fault Lifetime Warranty on their entire range of binoculars. Most optical companies only offer such a comprehensive warranty on their top of the range binoculars, but the fact that Celestron have the same warranty for their entire range goes to show how much confidence they have in their products. So what does this No fault Lifetime Warranty actually mean? 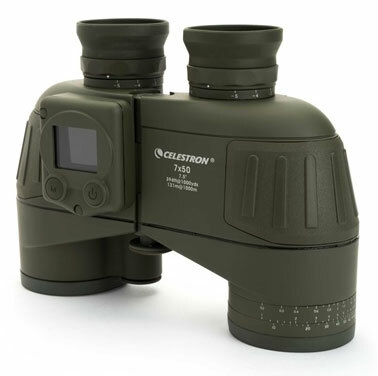 NOTE: This warranty is valid to U.S.A. and Canadian customers who have purchased this product from an Authorized Celestron Dealer in the U.S.A. or Canada. Warranty outside the U.S.A. and Canada is valid only to customers purchased from a Celestron Distributor or Authorized Celestron Dealer in the specific country and please contact them for any warranty service.